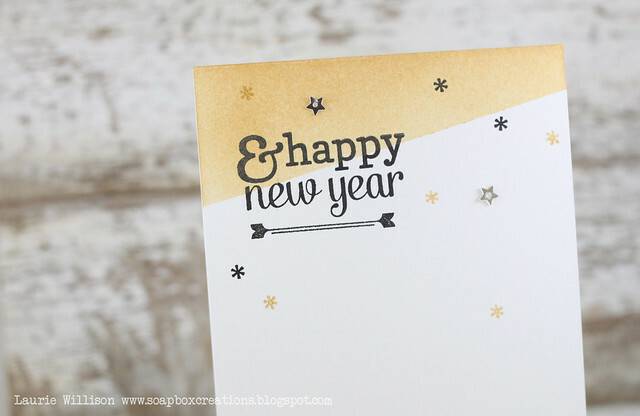 Stopping in with a quick CAS card just in time for the New Year. 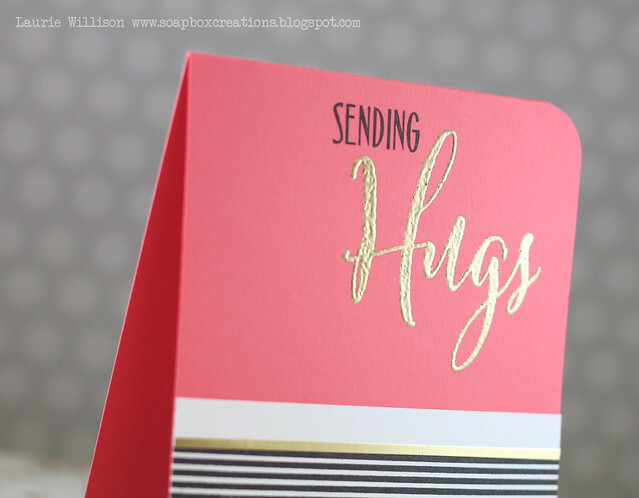 I have been seeing Laura Bassen's gorgeous masked blending cards, so I thought I would give it a try with some Delicata Gold ink. I wish I could capture the shimmer on this card. It is so pretty in real life! 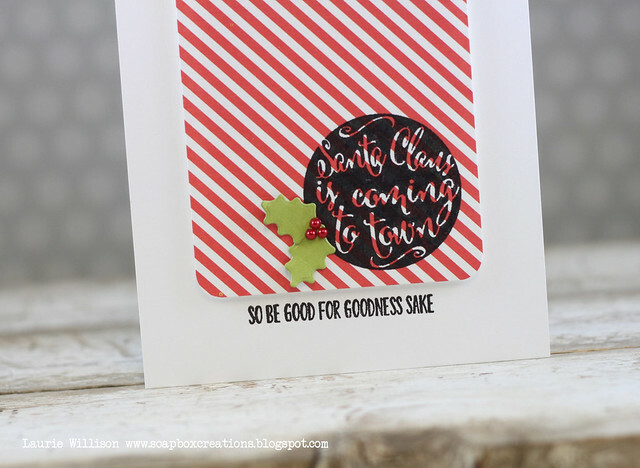 I masked of the top corner and then stamped this sentiment from Reverse Confetti's Bring on the Merry. I won't bore you with my love of ampersands, so I will just say there was no way I could mask it off. I have started collecting them in large sizes here at home. I have no idea why I love them so much....and I said I wouldn't go into it! lol! 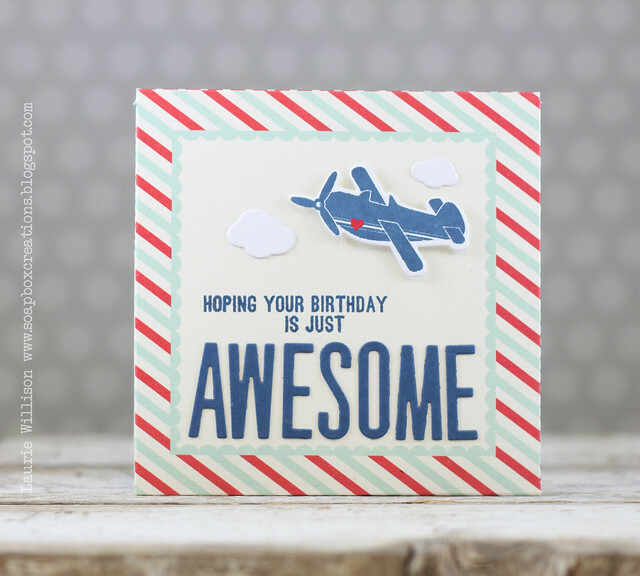 For the rest of the card, I used an "*" from the set called Lighthearted Letters. I added in a little arrow image from RC's All About you. And last, I added in some silver sequin stars for a little more bling. I hope you all had a fabulous Christmas! I got to spend it with both of my sisters. I am so happy that we could actually be in the same place at the same time. Lots of miles between us the rest of the year, so its been a fun and busy week. We spent a couple days on the Plaza in Kansas City too! I wish we had more time for the holidays, but its good to get back to normal and the tree is going down today. Oh and LOTS of laundry too! Thanks so much for stopping in today! And thank you for hanging out with me for another year! I am almost to 8 years of blogging and I can't believe that! I am so thankful for all of my blogging friends. I have said it before but the friendships are my most favorite part of this hobby! Hey there friends! 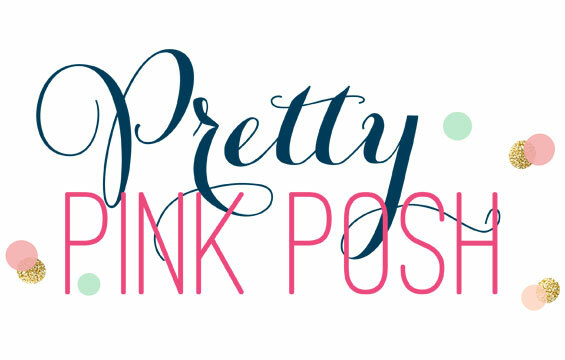 I am so excited to be here today with another guest post for My Favorite Things. 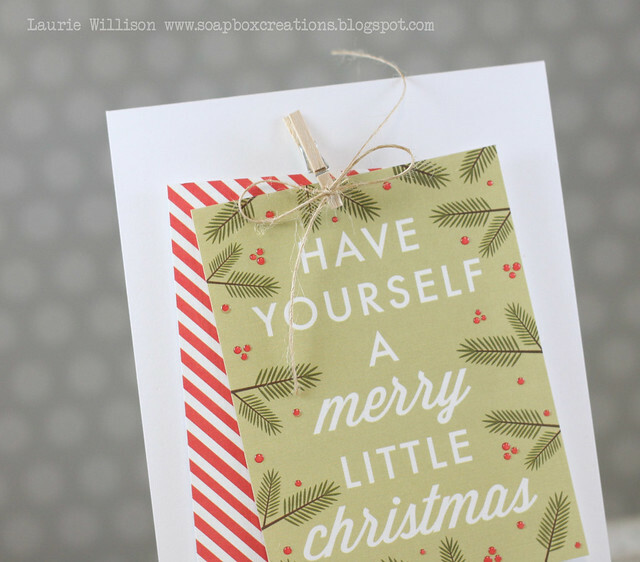 I have a fun, super simple card to share today, using some adorable My Favorite Things goodies. 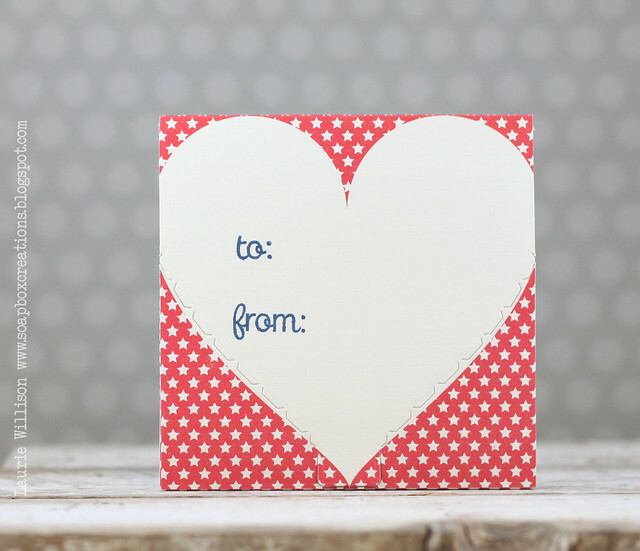 I used the set called Stitched with Love for this card. I love all the sentiments and details included in this set. I used 3 stamps. I stamped the thimble in gray ink in the background and then added in the sentiments in dark brown. The front card panel was made with the die set called Blueprints 20. 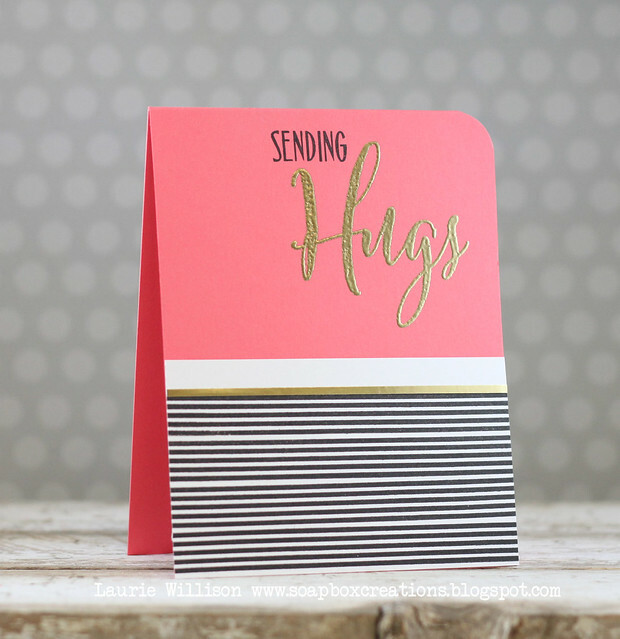 I layered up the stitched panel with that adorable scalloped layer and then onto a pink card base. I added 2 little banner ends...one in pink and one vellum in the corner. I can't get enough of this stitched dies. SO darn cute! I hope you enjoyed my CAS card. 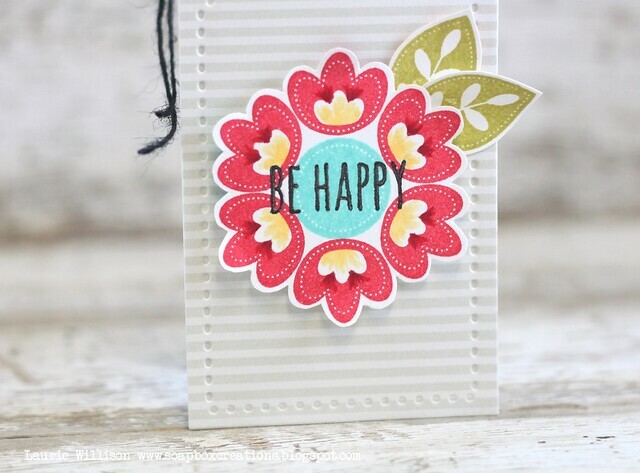 So honored to be a guest this month and have had so much fun with these MFT stamps and dies! Hope you all had an amazing Christmas day! Thanks so much for stopping in! 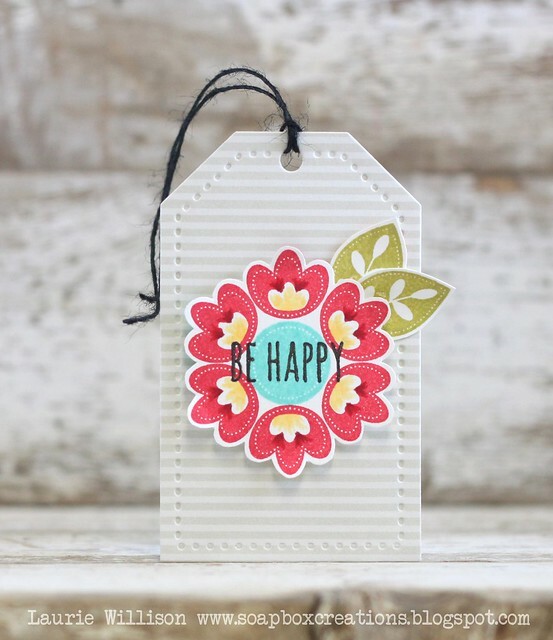 I made a tag using some Soft Stone Patterned Paper. I stamped the flowers in Pure Poppy and then added the yellow and dark red shadows with Copics. I stamped the center in Hawaiian Shores and then finished it off with a black sentiment. I tucked in some Simply Chartreuse leaves and tied some black twine on the top. This is such a fun little set! Check out what the rest of the girls have today too! 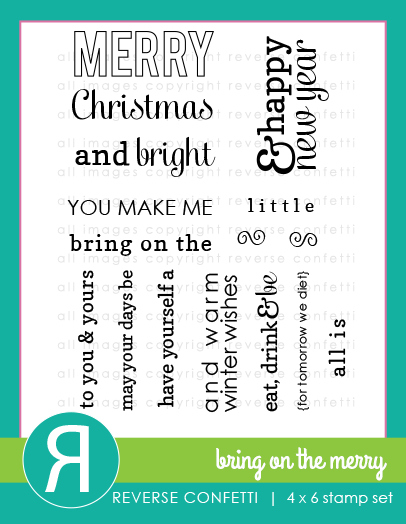 I stamped this adorable sentiment from Joy to the World onto a piece of striped patterned paper. I added in some holly and then stamped another sentiment below the panel. Welcome to the Papertrey Release Day! 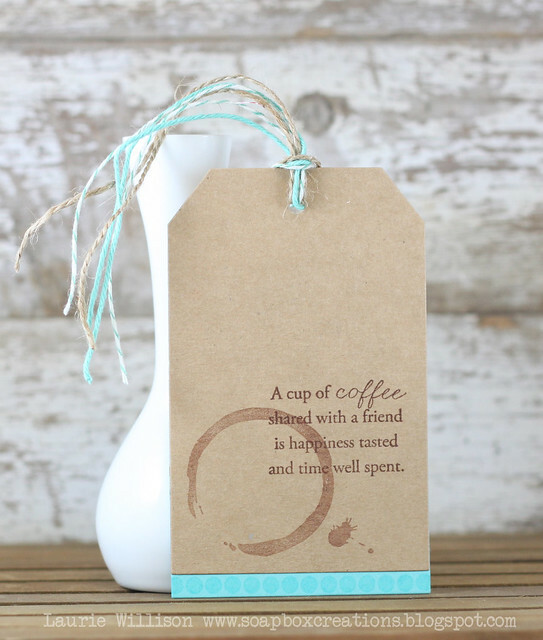 I have lots of cards to share, so grab some coffee and have a seat! The new cover plate In the Woods is so gorgeous! 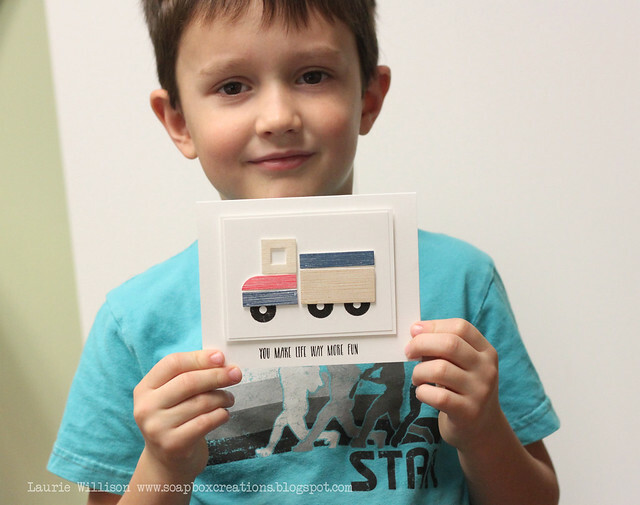 For this card, I cut it out in white card stock and then layered it with vellum. 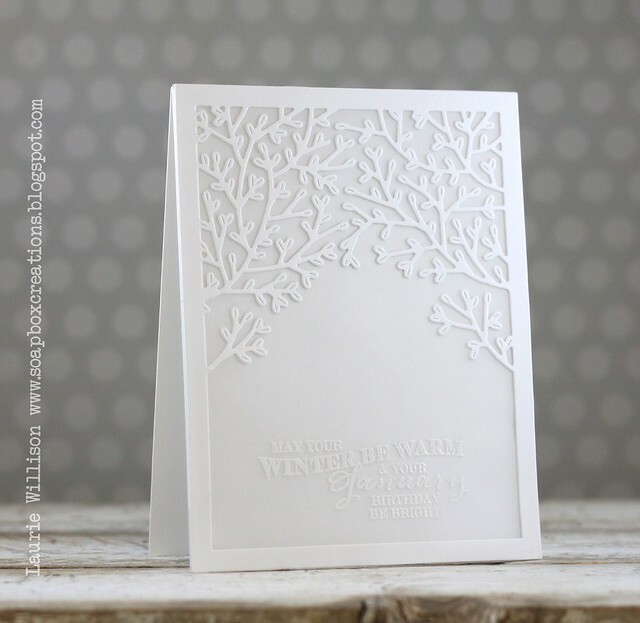 I heat embossed the sentiment from Birthday Classics: January on the vellum and the attached it to the card base. 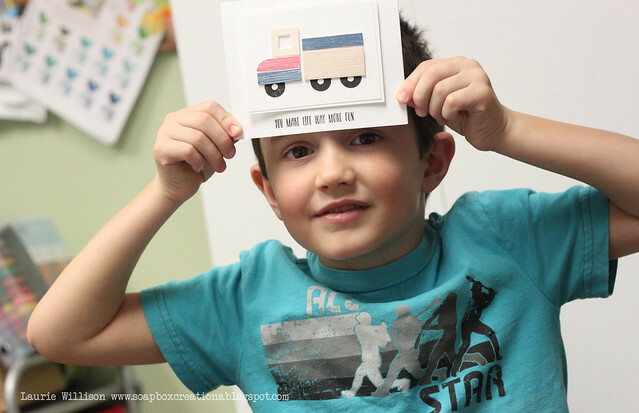 Little Human is a set that will be perfect for the littles in your life. 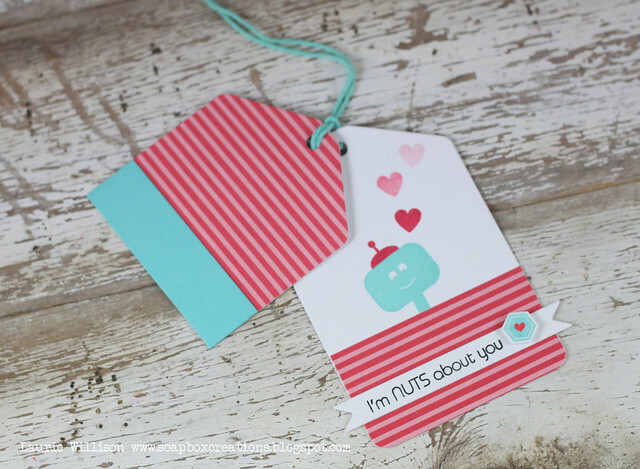 I made this tag but die cutting some Pure Poppy Striped paper and adding it to a white tag base. I stamped the sentiment on the banner and then added in the little bolt. On the inside of the tag, I stamped the robot face and a few hearts making this an interactive tag. 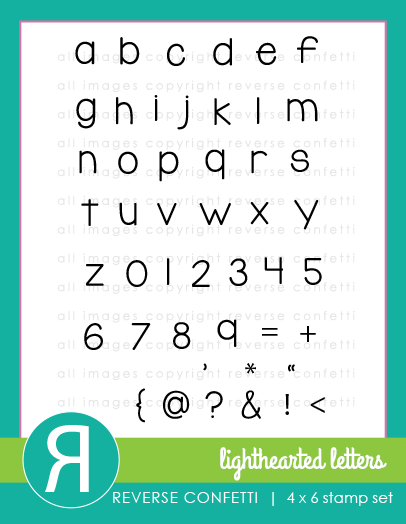 I am a huge fan of the Text Block dies and this one is no exception. 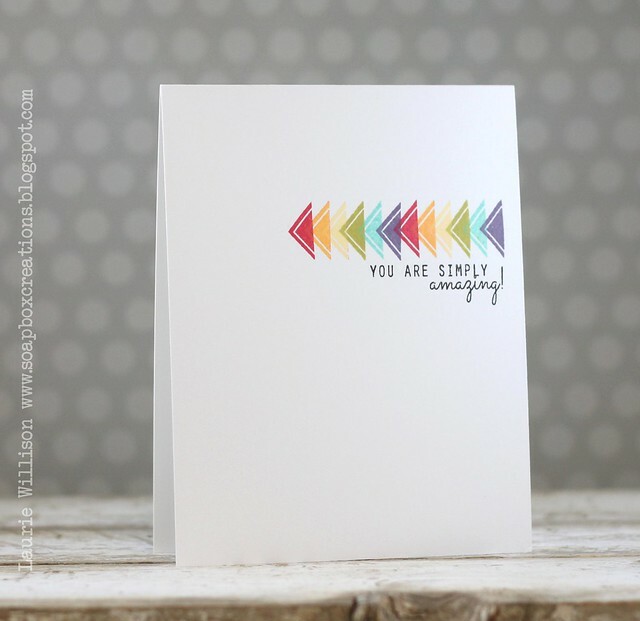 I used a Simple Stories paper pack for this card, cutting the die out with one of the rainbow pieces. 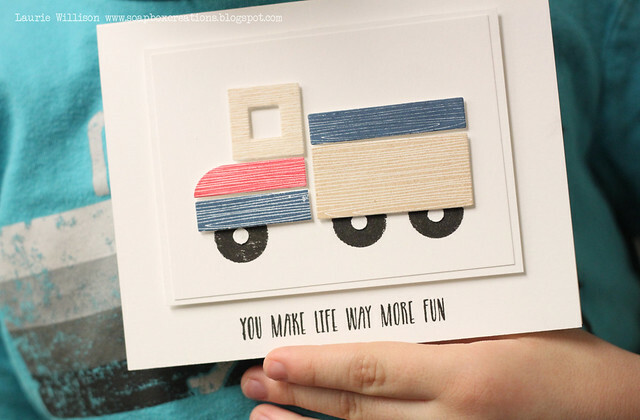 I layered it with some white card stock and then popped it up on foam tape to this wood grain base. 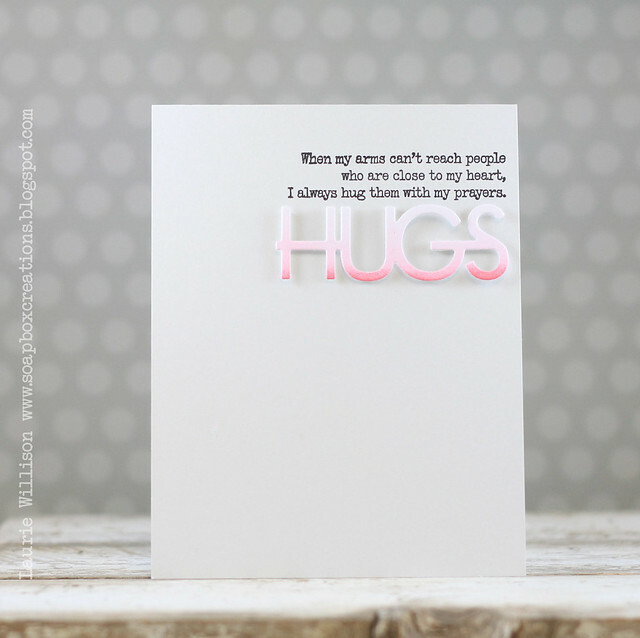 I heat embossed the sentiment that is from the new set called Love Notes. Here is a super CAS card. I used a little image from Hello There and a sentiment to create this one! Super simple! So that is it for today! Other than a few cute out takes if you keep scrolling. Also check out the rest of the DT to see what they have for today's release in review. Thanks so much for coming by today! Have a great day! 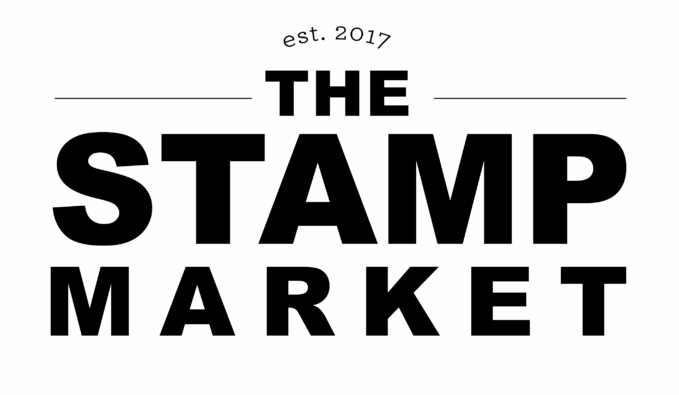 Are you ready for the cutest new stamps and dies? OMG....Betsy is a genius! These little guys are SO much fun. I have lots of photos today so hang in there with me! 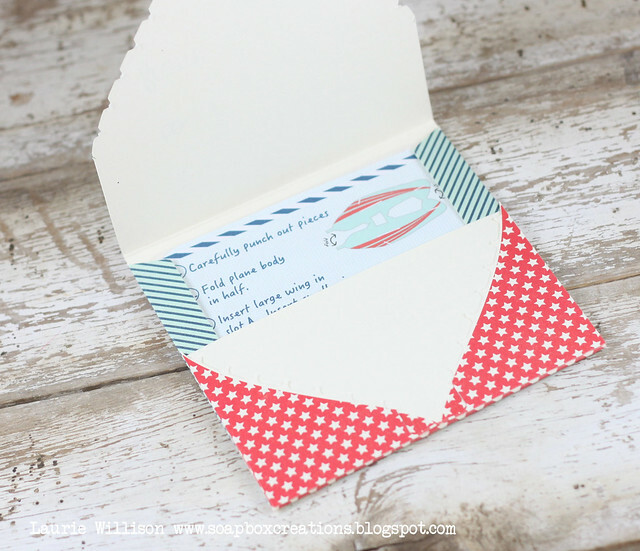 This first card is actually a little interactive toy all packaged up in the cutest envelope. First off the Foldable Envelope Wrap. I decorated the front with the new set called Love you to Pieces. 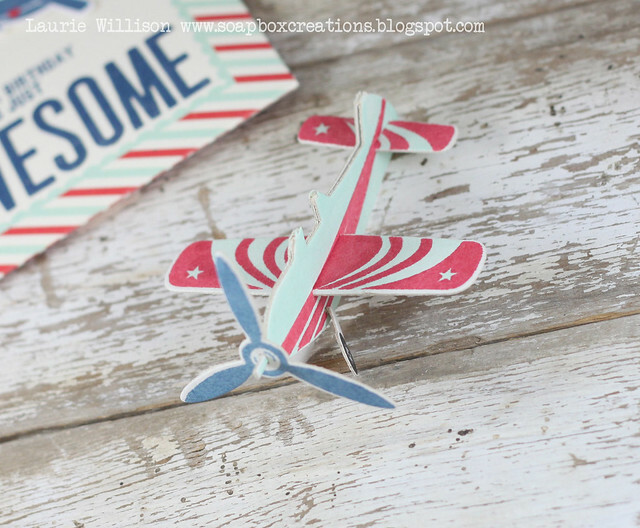 I die cut the clouds and the airplane and then stamped the airplane image. I colored in the heart with a Copic. I added in the AWESOME from PTI's Headline die set in Enchanted Evening cardstock. Here you can see the back of the wrap. 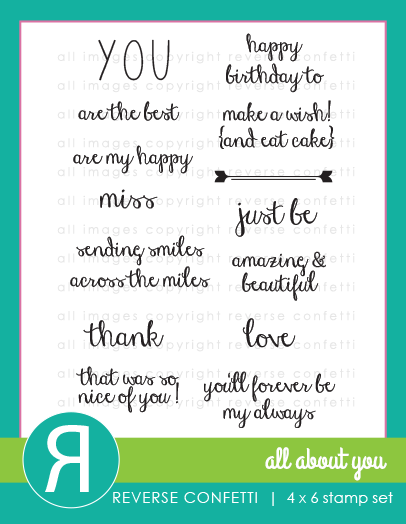 I stamped "to and from" using sentiments from the Love you to Pieces: Additions. So cute right? I love all the little details included to make this airplane so much fun! 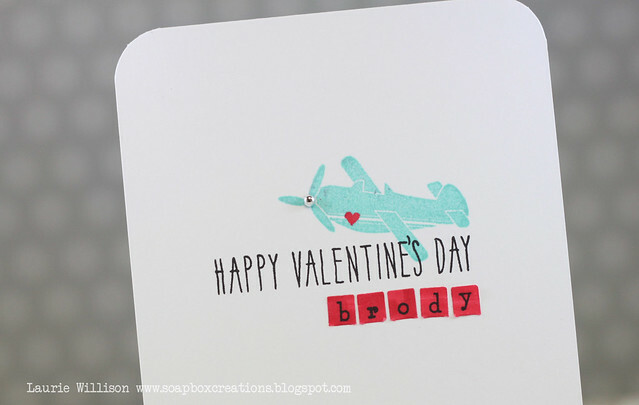 I stamped the sentiment from Keep it Simple: Happy Valentines Day and then added in some little Typed Strips II, to add in Brody's name. I love these little letters. The die and sets that coordinate are another genius product that provide so much versatility. I can't wait to see what the rest of the DT girls have to share today. There are fox dies too! I will be hoping along with you today for sure! Welcome to the first Group Post for the December PTI Release. Today's stamp set and dies are SO adorable! If you know me....you know I am a hugger. So this Big Hugs set just makes me smile! 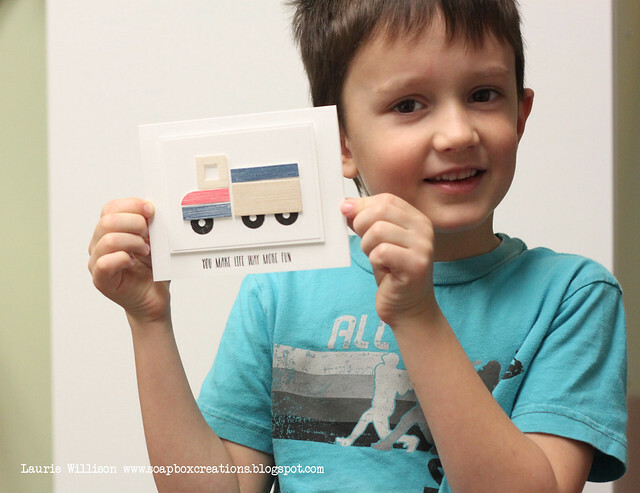 I have a couple of different cards to share today and I hope you like them! 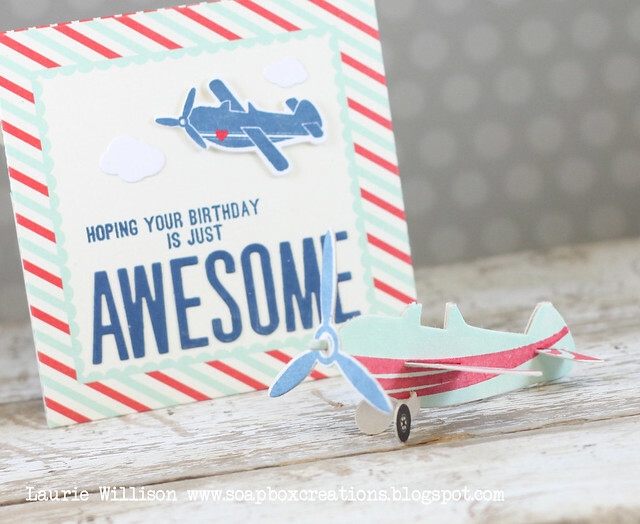 This first one is a CAS card using a stamp and a die. I stamped the sentiment in black ink onto the Soft Stone card base. 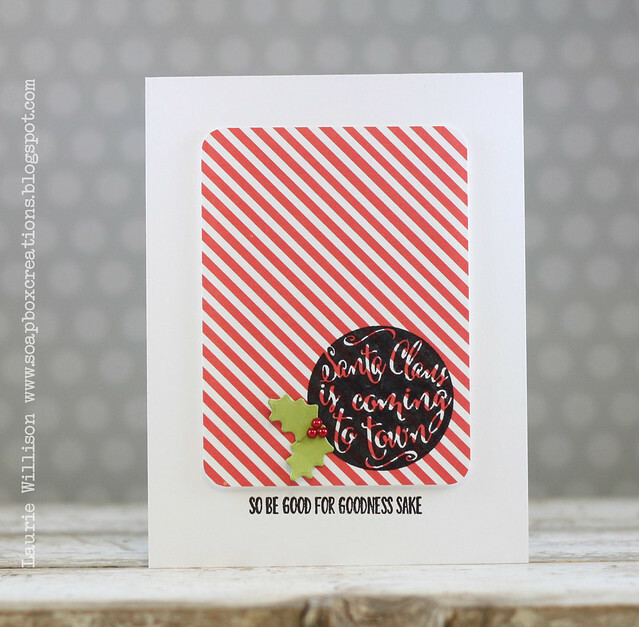 Next, I cut the die out of Stampers Select White after using a blending tool and some Berry Sorbet ink to make a little ombre effect. I attached the die cut on the card with some foam tape for dimension. Next I stamped "sending" in black ink. 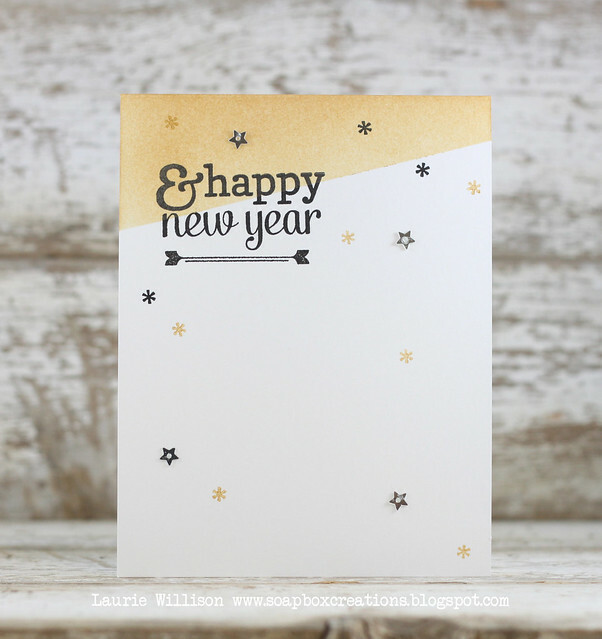 I added in a white panel with black striped stamped to cover most of the cardstock. I left a little white showing at the top and then added in a little strip of gold card stock to finish it off. Lots of possibilities with this new set! Check out the biggest "hugs" die in the full set when you see it! SO cute!! OK all the dies are cute but the big one is my favorite. It has a little flower detail in each letter and is just so pretty. Come back tomorrow for another fun day of sneaks! Thanks for coming by today! Hey there! 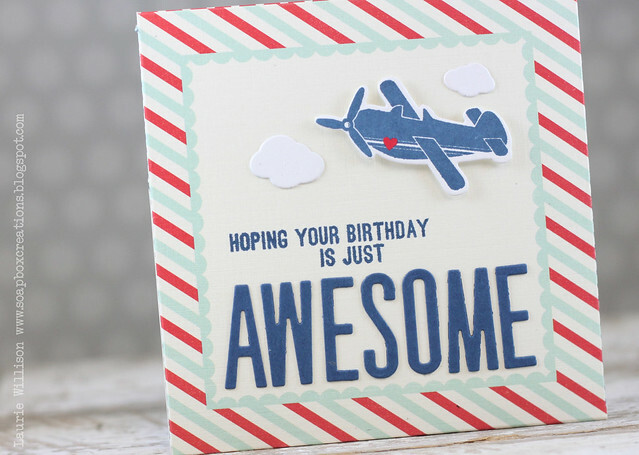 I am a little late today but I have a card to share for today's PTI Release Countdown. 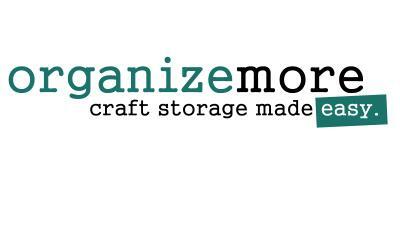 Today we are all showcasing the new Monthly Moments supplies. 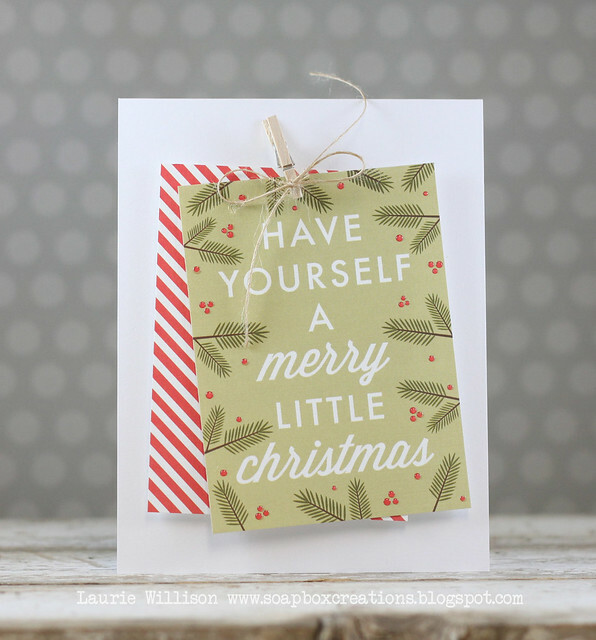 I have a quick and simple card using this fabulous December paper pack. 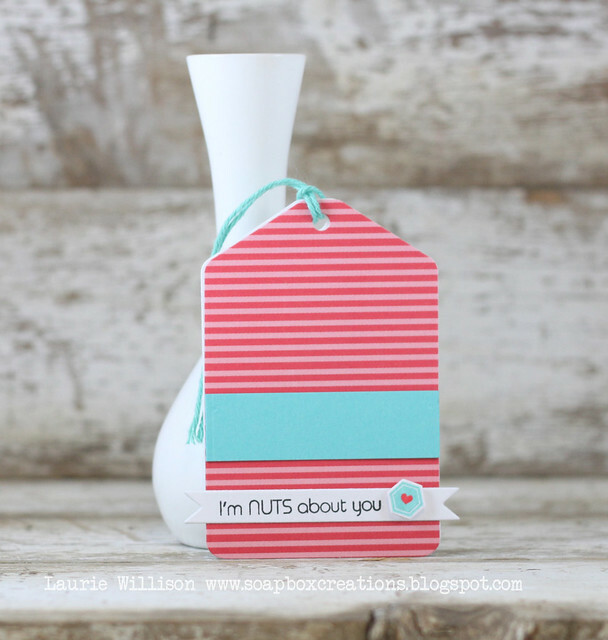 I found the sentiment card and then saw the striped piece....I do love me some stripes! I knew they would look fun together. 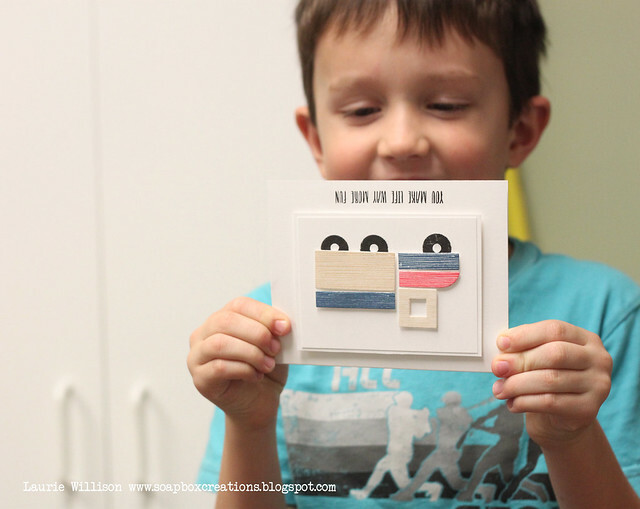 So I clothes pined them together, added a twine bow and popped it up on foam tape. Easy peasy! 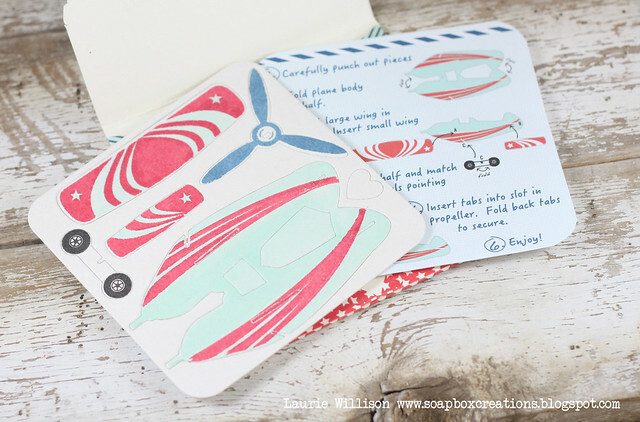 These little paper packs are so much fun and this December set is a must have! Thanks so much for coming by today! 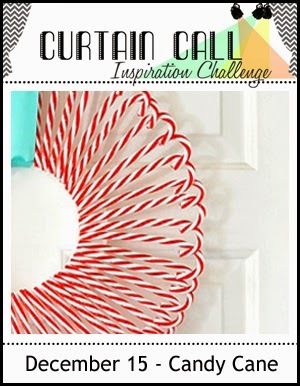 See you tomorrow for another fun post!